Turkish Airlines, the airline flying to more destinations than any other airline, has recently announced the results of passenger and cargo traffic in August and achieved the highest monthly load factor (LF) in its history with 85.6%. 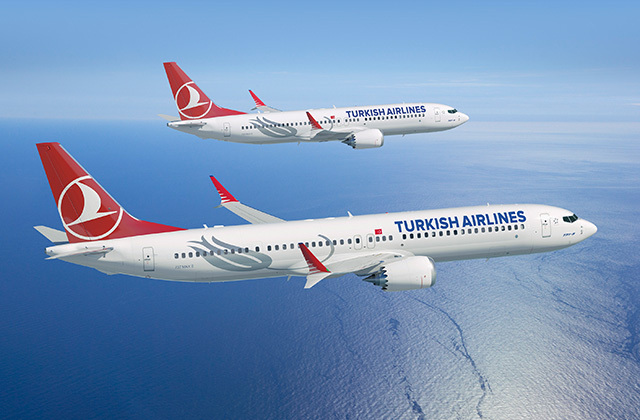 On top of the strong base effect of August 2017, growth in the number of passengers, revenue per kilometer and load factor, is an important indicator of the continued growing interest in Turkey and Turkish Airlines. According to August 2018 Traffic Results; the passenger growth trend continued in August, thus total number of passengers carried went up by 2.4% reaching 7.6 million passengers, and Load Factor went up to 86%. Also, in August 2018, Total Load Factor improved by 1.3 points, with a minimal increase of 0.5% in capacity (Available Seat Kilometer), while international Load Factor increased by 1.1 points to 85.3%, domestic Load Factor increased by 2.4 points to 87.6%. Excluding international-to-international transfer passengers (transit passengers), number of international passengers went up by 3.4%. In August, cargo/mail volume continued the double digit growth trend and increased by 21%, compared to the same period of 2017. Main contributors to the growth in cargo/mail volume, are N. America with 32% increase, Europe with 24% increase, Far East with 22% increase and Middle East with 18% increase. Far East, Domestic Lines and N. America showed load factor growth of 3.1 points, 2.3 points, 2.2 points and 2.1 points, respectively. According to the January-August 2018 Traffic Results; there was an increase in demand and total number of passengers which was 12% and 13% respectively. Over the same period of last year, total number of passengers reached to 51 million. Also, during January-August, total Load Factor improved by 3.4 points up to 82%. While international Load Factor increased by approximately 4 points exceeding 81%, domestic Load Factor went up by 2 points exceeding 85%, thus recording the highest load factor in Turkish Airlines history for the period of January-August. Excluding international-to-international transfer passengers (transit passengers), number of international passengers went up significantly by 16%. Cargo/mail carried during the seven months increased by 26% and reached 898 thousand tons.